It's that time of the year again! 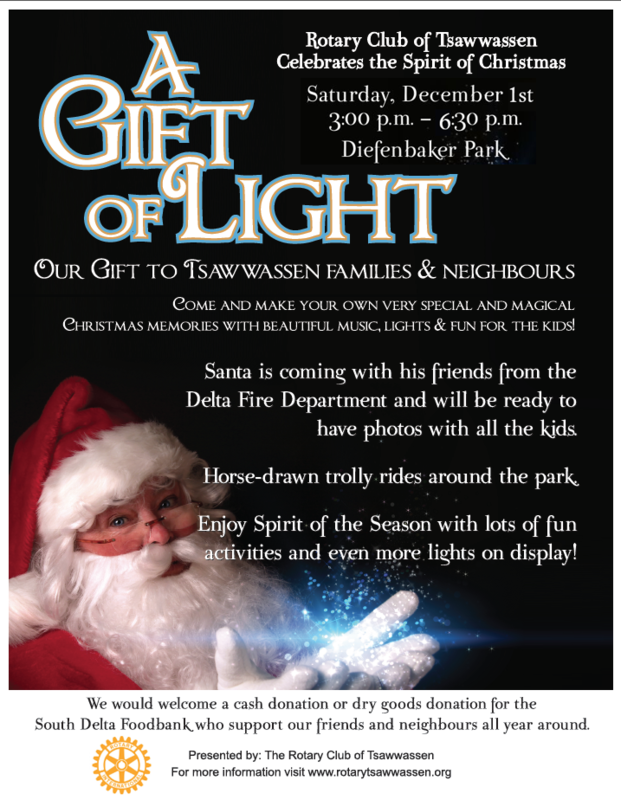 The Rotary Club of Tsawwassen's annual GIFT OF LIGHT at Diefenbaker park. We have over 25,000 lights on more than 40 trees to light up the park with a spectacular display. Bring your friends, bring your kids, bring your pets and the whole family it is rain or shine! We welcome dry goods donations for the South Delta Food Bank, who support our friends and neighbours all year around.